We chat to Shep Hyken, customer service expert. 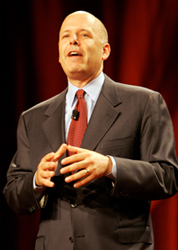 Today we’re speaking with Shep Hyken, customer service expert, keynote speaker, and best-selling author of several books, including The Cult of the Customer, The Amazement Revolution and Amaze Every Customer Every Time. Shep works with companies and organizations that seek to build loyal relationships with their customers and employees, and he’s worked with clients ranging from companies with less than 50 employees to Fortune 100. Shep, thanks for speaking with us today! I’m excited to be here Mark, thank you. How do you build a powerful customer experience strategy, and what are mistakes to avoid? I believe that a customer experience strategy goes deep into the organization. Part of the customer experience is the service, but it’s also the total interaction. Any type of interaction that a customer has with your company at any level whatsoever is part of their experience. It could be people to people, it could be the way you package your product and mail it to them. When they open the box, what it looks like, what’s inside, how’s it packed. My take on what it takes to get there is a simple 6-step process. First, leadership must define what that experience is going to be. A customer focused company, that’s focused on service and experience starts at the very top with the leadership saying this is what we want our customers to experience. Once they can communicate this articulately and simplistically, I typically ask my clients to create a one sentence vision of what the customer experience should be. It’s very easy for every employee to understand it when they come to work there, so it's important to define the experience at the leadership level. Second is to communicate it to everybody, and they must understand it, and it can’t be flavor of the month or this year’s theme. When you decide what that vision is going to be, until maybe years from now if it's not really what you want to achieve, you keep it consistently in front of everybody. Third is you train everybody to understand what that vision is, and you train different people differently. You’re going to train somebody on the front line completely different than somebody in the warehouse, who may never have any interaction with the customer, but they’re involved in creating that experience. Same thing with the accounting department, the HR department, the sales department, every department. They’re responsible for creating an experience either for somebody inside their organization, or somebody outside, hence the customer. Next is, if you’re a leader, you need to demonstrate it, and on a personal level you need to express and be a role model for what that experience should be. The final step is to celebrate when it works. To recap, you define it, you communicate it, you train people to it, leadership acts as a role model, they keep it in alignment, and when it works you must let everybody know and celebrate the success of your vision. So it sounds like that we’re all part of the customer experience at every level. At every level. Nobody is left out. Somebody once said, if you left or stopped working at your job, how long would it take for someone to notice that you weren’t there or doing your job? But I believe that customer experience is everybody's job and if at any time if somebody doesn’t believe they’re involved, what we suggest our clients do is create a journey map of the customer experience. Every interaction they have, every interaction, that’s not just people to people. Steve Jobs said ‘let’s make the packaging so incredible on our products that that alone is an experience that they will enjoy. Not just the people, not just the product itself, but even the packaging. So somebody is involved with that in the company, if you create a journey map from the moment a customer thinks about doing business with you. If you’re in marketing, you’re going to try to get a customer to think about doing business with you at every interaction. If you look at all of the front line touch points, those are at the top, and behind them are what I call impact points. It’s what’s behind the scenes that’s driving it. If a customer calls or goes online and interacts with the employee or a website and orders a product, somebody in the warehouse has to go and pull it off a shelf, put it in a box, wrap it properly, and it gets sent over to shipping, and shipping makes sure its all done properly with the address, and it goes out. There are a lot of people that touched that package. The customer only knows one thing. I ordered it online, or from a person, and it showed up 4 days later. They don’t see the 25 different activities that happened behind the scenes and all the different people involved. On a typical journey map, every single person in a company is going to somehow touch that customer in some way. It may be behind the scenes, it may be minimal, but their part of it is in that interaction, or behind the scenes in what I call the impact points. Sounds very crucial to the whole process. If you want a little homework, I would say to sit down and journey map out the customer experience to the top line and then figure out all the different departments and all the different people that drive that experience behind the scenes. It’s not an easy exercise, you’re going to sit down with a lot of people, and spend a lot of time on it, but when you get it you’ll see everybody is included. There’s no department that is left out. The key is when a customer walks away, they’ll go ‘wow, I love doing business with them, and I want to tell others about the experience’. If customer service is the new marketing, what is the key to The Art of Amazing Your Customers? The key is when a customer walks away, they’ll go ‘wow, I love doing business with them, and I want to tell others about the experience’. I use that word ‘amazing’ all the time. Amazing isn’t super difficult to achieve. For me, amazing is just something that’s better than expected. A tiny bit better than average, and it’s consistent all of the time. So when you can create and deliver a consistent experience that meets, and maybe exceeds that customer’s expectations consistently, they’re going to want to come back. When they come back, they’re going to talk about you. They’ll tell their friends ‘this is where I do business’. They’ll tell the colleagues they work with, and other people. They'll go to a conference and tell people who they enjoy doing business with, because there’s a consistency, and there’s an expectation that’s typically met. That’s what great and amazing service is, a level of service and a level of experience that is consistently and predictably better than average. If you do that, and that’s your best marketing strategy. 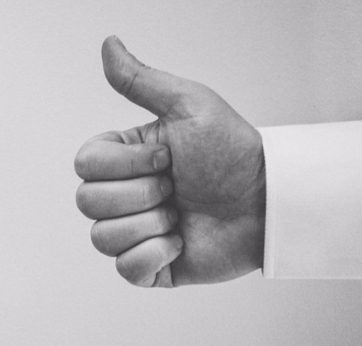 I read maybe last week that Bain & Co., a major consulting group, said that 80% of companies say they deliver 'superior' customer service; however, 8% of people think these same companies deliver 'superior' customer service. Quite a disproportion between the two. Yes, there’s a big spread. It’s not quite that big of a doom and gloom spread between 80 percent and 8 percent. But I think whether the numbers are 100 percent accurate or even half accurate, they’re still making a big statement. There is a big discrepancy between the companies that say ‘we give great customer service’ and yet they really don’t. I’m doing a study that was released by In Contact, they’re in the call center customer support world, and they did a study where they looked at lots of executives from over 300 support centers, and they interviewed thousands of customers to see if there was a gap in the thinking, and there is. There was a gap in virtually every area of customer service. As disappointing as it is, you want to close the gap. I’ll ask customers ‘what would be a good response time’ if you tweet out, text or email a question? They’re all going to say 1-2 hours. And the companies say ‘we try to do it within 6-7 hours’. Federal Express says ‘we want to respond to our customers who send something to us via social media, ideally within 20 minutes'. At the end of the day you’ve got to exceed these expectations by even just the tiniest bit. When you do that, you close a gap between what a company thinks is happening, and what the customer reality is. The customer perception is the reality, you can’t mess with that. You might think you deliver the best service in the world, but the customer is the judge and the jury to determine whether you are. It’s what they say about you, not what you say. Right. That’s tweetable by the way. That’s very good. Thanks! According to the Small Business and Entrepreneurship Council, companies with less than with 20 employees make up almost 90% of businesses, but for SMBs like these with limited resources, what are some of the more crucial areas to focus on for creating amazing customer experiences? I think that the smaller companies have the biggest advantage because they’re so nimble. If they realize that they’ve started to lose their grasp of what good customer service is, they can change on a dime because they only have to change 20 people or less. They have the best opportunity to create the culture quickly, and can turn a company around in weeks, not years. Truth of the matter is, I believe that training is crucially important whether it’s a book that everybody reads and then a manager or leader sits down and goes through a chapter with everyone at a time, and work through it that way. Or some kind of training, online or otherwise. There’s lots of inexpensive resources out there that you can get. Even showing videos, just go to my Youtube channel, actually, if you go to ShepTV it will take you straight to my Youtube channel. There’s 500 videos on customer service, so if you want an inexpensive way to train your people, take some time, pick out the 12 videos you like the best and once a month show that 4 minute video or so, and sit down and talk about it for 15 minutes and there you have got an amazing 20 minute customer service program, and it didn’t cost you anything. That sounds like great advice. You've stated in the past that "customer service is not a department, but a philosophy to be embraced by everyone". To effectively implement across an organization, it seems there would need to be someone to champion the effort, but with smaller businesses people often wear many hats, so what should these individuals need to know and do to instil this thinking within the culture and what are some best practice tips towards managing it? You said it right. Service is not a department. If you’re in a small organization, it’s not a half dozen people, or even just 2 people that deal with customer issues, it’s everybody’s job. One approach is, especially in a small company, tell everyone they’re going to have a shift on the customer service desk. Every week, each person is going to spend 2 hours working customer service, so they stay in complete touch with the customer and what their reality is’. If you can hire 20 people in all the different areas that you need that are also great at talking to customers on the phone or dealing with them via email, chat, or even on a social media level, then you’ve got an amazing employee. Another idea that I mentioned before is to do a journey map and show them where they fall in the customer’s journey, even if it’s behind the scenes. Because it’s so important that they know what their impact is on the customer. You might also consider letting the employees know what the average customer is worth, because when they start to understand what the customer value is, they’ll make better decisions. A simple example of that being the grocery store. If the average person spent $100 a week on groceries, that’s $5,000 plus dollars a year. If they lived in the neighborhood for 10 years, that’s $50,000. So if once in a great while that customer who I know has been living in the neighborhood for 10 years, been worth $50,000 to me, comes in and says “You know what, that piece of meat you sold me the other day for $8 didn’t taste very good”. Give him another $8 piece of meat, because you’re jeopardizing a $50,000 customer. Give your people permission to do this type of thing without having to go and ask the manager. There’s an old saying or old adage in business, not a lot of people know about it, but it’s been around for a long time and the concept is it takes one to say yes, and two to say no. In other words, if you hire good people, you train them right, and you tell them to go out there and do a great job, use good judgement, do their best, and they have permission to do what they think is right. If for some reason, they aren’t sure what to do, come and see me. If they truly feel a need to say ‘no’ to someone, that’s the time to come see me. Let’s see if we can teach you how to say yes the next time. It’s an interesting concept of knowing when to say yes and when to bring it to the management. I went to a restaurant when I was on vacation with my wife and one of my daughters and there was another couple that we saw down there that we’re friends with. We decided to have breakfast with them the next morning, and all the breakfast tables that were available were set for 4 people, yet there were 6 of us. There were lots of tables we could push together, so we asked if we could push 2 tables together, and the girl that was helping us said ‘I need to go check with my manager’. Are you kidding me? So the manager came over and helps slide the table over. The next day we met for breakfast again, same scenario, and we asked the same girl ‘can we push the tables together again’ and she goes ‘I have to check with my manager’. The moment the manager did it the first time, should have been the last time she ever had to ask, because the manager said this is ok to do, and demonstrated by actually doing it. I’m very frustrated when I see people put in the position of not being able to have an authority or being empowered to do something as simple as that. Believe me, it happens all the time. You’ll become more aware of it now if you’ve listened to this interview or read the interview. You’ll become more aware of these situations and its going to drive you crazy. It’s not exactly an executive decision, and probably the more you empower your employees the better off everyone involved would be. There was a gentleman that owns an Ace hardware store. The one to say ‘yes’, two to say ‘no’ approach - he called it the best policy he ever implemented. It eliminated 70-80% of the questions that his employees came to ask him, when he gave them permission to do what they thought was right. When somebody does something that they haven’t done before, after they’ve done it, they should come to a manager and they could say ‘this is what I did’. The manager should praise them, or teach them what to do next time. The next time there’s a meeting with the team, these are opportunities to say ‘let me tell you what Mark did last week’. It's a perfect example of how I want you guys to do, whatever it is. Use it as a learning opportunity, not just for the individual, but for the entire group as well. ...it’s very important to respond to every review. Absolutely. One more quick question for you. How important do you think online reviews and reputation are for businesses, and what do you recommend to businesses for acquiring more reviews to improve their online presence? Word of mouth marketing and reviews are becoming more important. If you go on Amazon and you’re thinking about buying a book, I’ll guarantee most look at the reviews. If you go onto a shopping site where there’s electronics, you’re going to be comparing different items to different items, and you’re going to be looking at those reviews. Reviews are extremely important. However, that doesn’t mean they have to be five star reviews across the board. If you’ve got 500 reviews and every single one is a five star review, it almost looks suspicious. NorthWestern University did a study, and what they found is that 4.2 to 4.4 star reviews have more credibility and a better response than a perfect 5.0. While I would hate to see a bunch of one’s and two’s, but I think it’s important to realize that once in awhile you get somebody that’s unhappy. As a company, you have to take that. It’s very important to respond to every review but you also have to take some of them with a grain of salt. There’s a famous restaurant in the Napa Valley area that about where somebody gave them a very bad review. Being the good company that they are, they followed up when they saw this bad review and said ‘what did we do to deserve this, we would love to make it right’. And the guy replied ‘I called you guys when I was in town to make a reservation, and you were booked every single night, I couldn’t get in’. That’s why he gave them a bad review. As a business, it can hurt. It’s important that when there is a review, that the customer is responded to. With a review on a site like Yelp or TripAdvisor, everybody can see it. Therefore, you need to think that way. Show them that you responded, show them what the explanation was, and get on there and interact. You don’t want to have an argument with a customer, take it offline, and when it gets resolved, bring it back online and say ‘glad we were able to work things out, thanks for the opportunity’. In the perfect world, the customer is going to come back on and say ‘I appreciate following up with you, glad you guys stepped up’. Online reviews are important to your reputation, it’s that simple. What should you do about them? As I mentioned, you respond to every single one of them. I have a good friend, Jay Baer, who wrote a book called ‘Hug Your Haters’ that’s about the online world and all the complaints that some of these people have, but you know when somebody makes a complaint, it’s an opportunity to show how good you are when you respond. If somebody gives you a compliment, it is just as important to respond to them as well, because everybody deserves a response. The customers love it when you interact with them, and when you do that, it just creates more engagement and a better connection. Shep, amazing insight, I want to thank you for taking the time to speak with us. For additional insights from Shep Hyken, be sure to visit his website Hyken.com and follow him on Twitter, Facebook or Linkedin for more.